For some reason, “golf” style has crept into corporate North America. 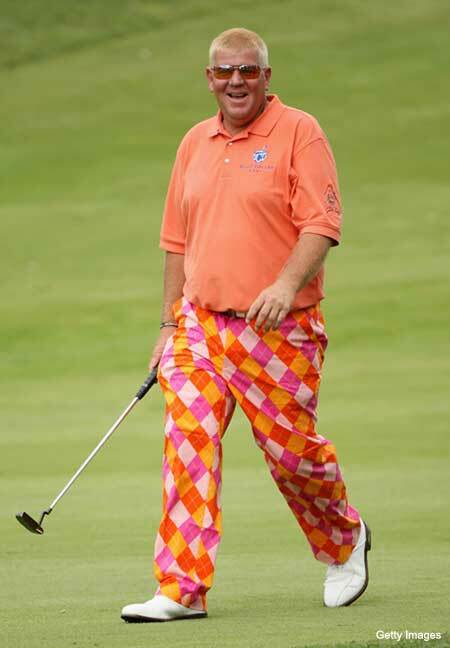 Unfortunately, this isn’t the golf style of Arnold Palmer, it’s the golf style of John Daly – baggy shirts that feature nearly 3/4 length “short” sleeves. 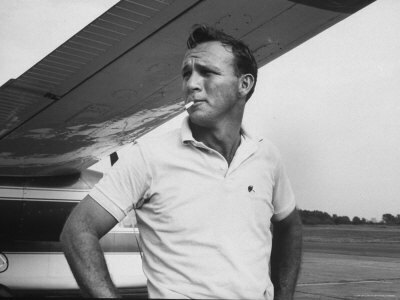 Check out the picture of Arnie on the left – he looks pretty badass, doesn’t he? Look a little bit closer and examine where his sleeve hits his arm; that’s where you need yours. Taking your cues from the man on the right, except as it relates to the connectivity between chicken wings and breasts, is a bad decision indeed. 10. Wear socks that cover your ankles – I don’t need to see man-ankles. And please, PLEASE, do not wear white socks outside of the gym. There’s really nothing appealing about that pale, hairy flesh that peeks between the socks and pants of some guys when they cross their legs. The solution is an easy one – buy longer socks. The winter brings on an affliction that is difficult to avoid: pasty white ankles. Proper, over-the-calf dress socks at least allow the rest of us to be blissfully ignorant as to the shading of your ankles. In the summer, when even your ankles have some colour, feel free to skip the socks after work and on the weekends without hesitation. Just be sure to put on a pair for that big prospect meeting. With regard to white socks, please see the photo below, which should be disincentive enough. I’ve covered this in a prior post, but it bears repeating: most men don’t have properly hemmed pants. Look around today: how many pairs of dress pants do you see lying in a puddle at men’s ankles, as illustrated in the picture below? Quite a few, I’d imagine. The sad thing is, this is a $5 fix – you just need to make sure to ask your tailor to do it properly. You want your dress pants to break once and that’s it. 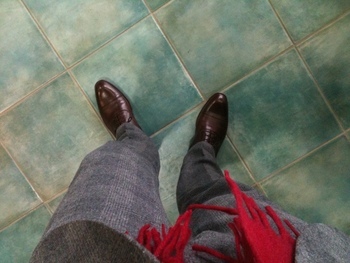 I get it – you just bought that awesome new winter overcoat, or you have an inkling to go sockless. Just don’t wear that overcoat before it gets legitimately cold and keep your socks on until it hits at least 20 degrees and sunny one day. It’s so tempting to want to wear new clothes, or clothes you haven’t worn for awhile but you need to be patient and wear them in the proper context. Otherwise you will look like a jackass. This may be the rule that I struggle with the most as patience typically isn’t my strongsuit. 13. If you’re wearing a tie, do up the top button of your shirt. It’s very obvious when you haven’t. It’s very obvious when you’re wearing a tie with your top button undone and your tie pulled tight. It doesn’t look good or professional and reeks of laziness (or that you have the wrong size shirt). Some guys complain that doing up that button is uncomfortable – well, it shouldn’t be if you have the right neck size on your shirts. If you don’t, then it’s time to buy some new ones, not try and cheat with your tie. Don’t do the lazy, no top button (unless the top button has popped off during the middle of the morning and you’re waiting to get home to take it to a tailor). If you live in a city where it rains regularly, then you need a raincoat. There are no more versatile styles than a navy or beige macintosh or trench style raincoat. That said, only wear it when it’s raining, or, at the very least, overcast. The guy walking down the street in a raincoat when it’s 22 and sunny looks like a jackass. These types of raincoats can be seen everywhere you go in London because it’s almost always a little bit overcast there – but you’ll be hard-pressed to ever see one in L.A. There’s a reason for that. 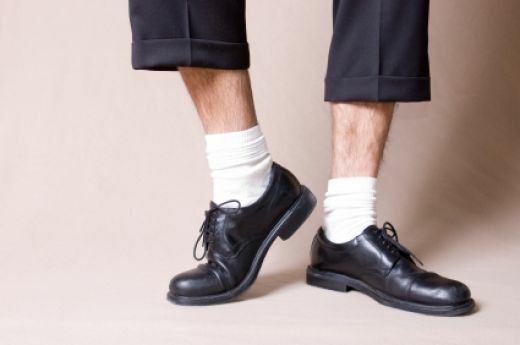 For some reason, the natural inclination for most people is to match your socks to your shoes (perhaps because it’s very easy to find black socks and most guys wear a lot of black shoes). This is a bit strange since making it look like you’re wearing strange, large shoes that come up your ankle isn’t a particularly flattering look. Rather, the idea is to make it look like your pants always meet your shoes, no matter how you’re standing or sitting. So, if you’re wearing a navy suit, wear navy socks, and so on. Your other option, and this is a bit more tricky but can look great if done correctly, is to match neither your suit nor your shoes. Socks can add a lot of visual interest to your wardrobe, and they’re not overpowering as they’re generally not on display. Wearing wine coloured socks with a mid-grey suit and dark brown shoes can take your style from a 9 to a 10. Just be mindful of how you’re mixing colours and patterns. If this sounds a bit tricky, or you frankly have no interest in taking the time, than just do what I said originally: match sock colour to suit colour. Take a look at the tuxedo below on the left. How many patterns are there? Clearly, there are none, which in part gives the tuxedo its air of formality. By contrast, look at the picture on the right. 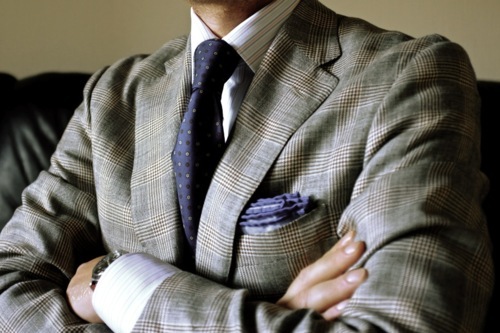 There are patterns everywhere, and this certainly makes the outfit look much less formal. So, the easiest rule of thumb is to decide how formal an occasion is and then wear a greater or fewer number of patterned articles of clothing in accordance with your assessment. For work, I would recommend either one or two patterns, and only very rarely three (I’m only counting suits, shirts and ties, not pocket squares or socks). Also keep in mind that wearing no patterns (i.e. solid suit, solid shirt and solid tie) can look a bit overly formal. As an example, a pinstripe suit and a patterned tie, with a plain shirt will strike the perfect mix of business acceptability, without looking too formal. For a casual Friday, throw in an extra pattern if you’d like. This is definitely one of the most important rules of thumb here as too many patterns can make you look far too busy and requires almost a fanatical devotion to proportion, colour, etc in order to get it right (I call this the “Investment Banker Syndrome”, as it seems as if that particular profession has an oddly keen interest in wearing a concert of patterns every day). 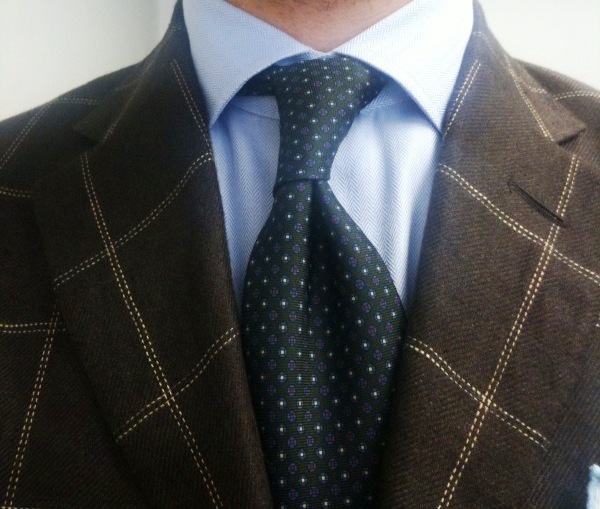 Better to make it easier on yourself and wear two patterns (or one) at a time to the office, thus saving the triple pattern matching for sales associates at high-end men’s clothing stores. 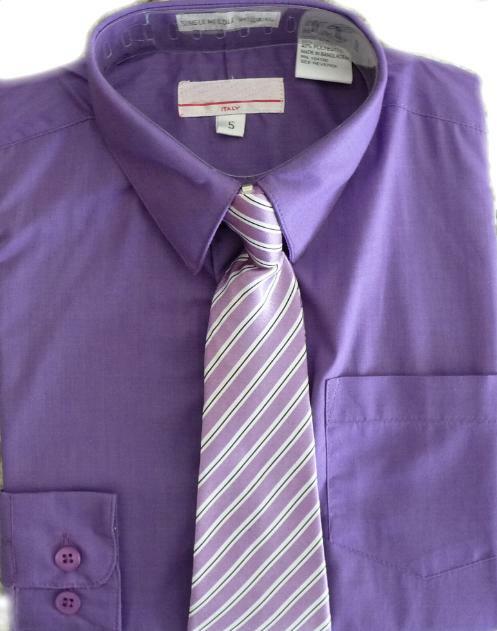 Some shirts are made to be worn with a tie; others are made to be worn without a tie. Some shirts simply look better with a tie than others. Basically, collars with at least a moderate spread best accomodate ties. However, the more spread a collar, the more awkward it tends to look without a tie (a fully cutaway collar can look very odd indeed in the absence of a tie). 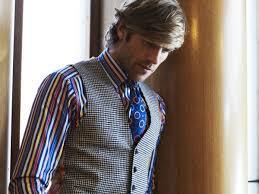 The degree to which your shirt collars ought to be spread is dependent on what looks best with your face. 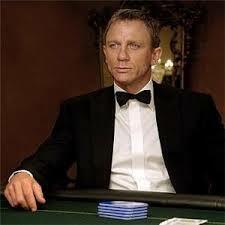 The longer and leaner your face, the more spread your collar should be to balance out your features. However, if you have a more rounded visage, than you should tend to choose a moderately spread collar, to minimize adding further width. At the same time, the best rule of thumb when it comes to the spread of a collar, when wearing a tie, is that tips of your collar should disappear behind your lapels. If you can see your collar points with your suit on, then go for a bigger spread. I purchase dress shirts very much with the circumstances I’ll be wearing them in mind. For example, I’ll purchase a T.M. Lewin dress shirt with the Buckingham collar with no intention of ever wearing it with a tie – and I’ll purchase the Windsor collar with the opposite intention in mind. I recommend putting together a shirt wardrobe with both ends of the spectrum covered, and without attempting to have your shirts pull double-duty. The modern trend is towards a lower button stance. 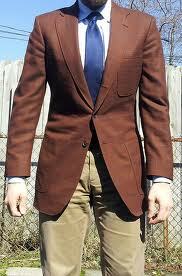 Three-button suits, which I do like the look of, often have a top button that is unfashionably high. Leave it undone and only button the middle button. This idea is why the saying goes “Sometimes, Always, Never” when it comes to suit buttons. It creates a deeper “V” with the lapels, making it look like you have broader shoulders and a narrower waist – who doesn’t want that? Plus, it’s far more rakishly stylish and less “corporate drone” than buttoning that top button. See the pictures below to see what I mean – if the top button was done up, the “V” would be substantially less pronounced and the button stance would look “off” to modern eyes. Not only because it keeps you warm, but also because it finishes off your outfit. An overcoat pretty much demands to be paired with a scarf. 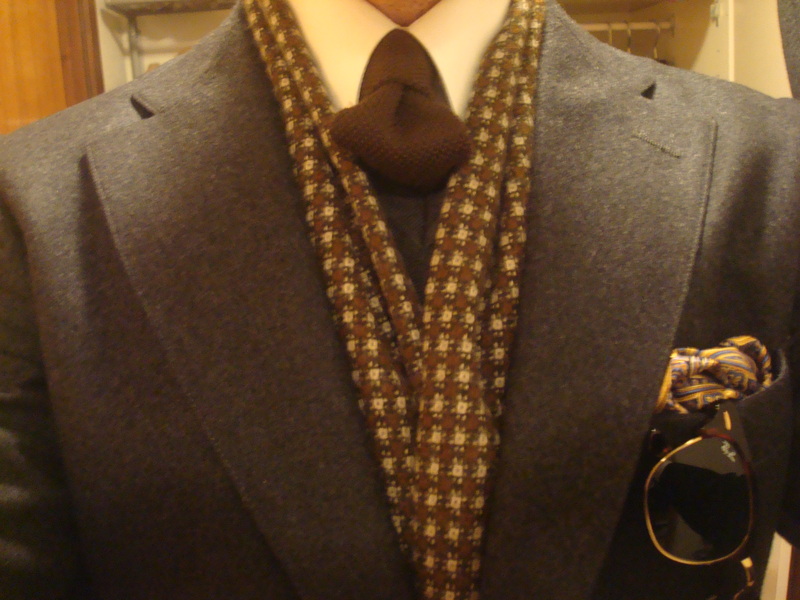 If it’s too hot for your thick wool number, than go with a lighter cashmere, cotton, or even silk scarf. Scarves add personality, colour and visual interest to your wardrobe and it’s a great investment to have a few, of various colours and materials, in your repertoire. eBay can definitely be your friend when it comes down to tracking reasonably priced scarves. Look out for offerings from Drakes, Paul Smith, and I’ve also found nice deals on cashmere scarves from department store “house” labels. – You can never really go wrong with lace-up oxfords, it’s deciding when you should break out your loafers that’s the tricky part. The easiest rule of thumb for me is to wear lace-ups with ties, only considering loafers when you’re sans tie. 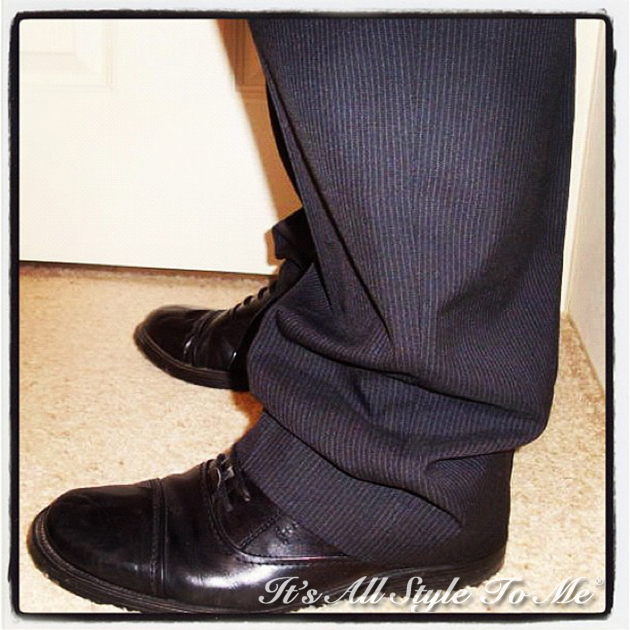 Ties are formal, so they should be coupled with formal shoes (lace-ups). If it’s casual Friday, than loafers are a great idea. If you’re attending an event outside, than loafers are likely a decent choice (unless it’s a wedding); and, if you’re outside attending an event that doesn’t really require socks, than definitely go with loafers. 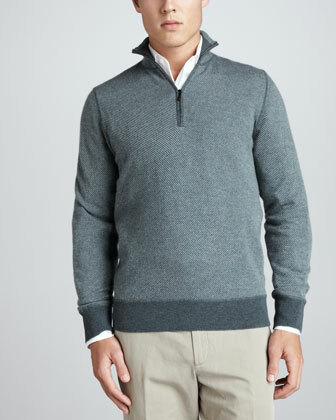 Once again, it comes down to creating a “V” shape – the half-zip sweater is one of the most versatile articles of men’s clothing and is extremely flattering. A half-zip can be dressed up, worn under a blazer with a tie, or dressed down on the weekend. They’re more rugged looking than other sweaters and, with the ability to zip up or down, more flexible when it comes to keeping you warmer (or cooler). Get at least one into your weekend rotation – they’re “three season” ready. Men don’t typically wear a lot of jewelry. Perhaps a wedding ring, often cufflinks… This means that men’s accessories count for more, simply because we wear less of them. Prince amongst the men’s accessories is his wristwatch. As the rule says above, it is far, far better to have one good watch than five mediocre ones. 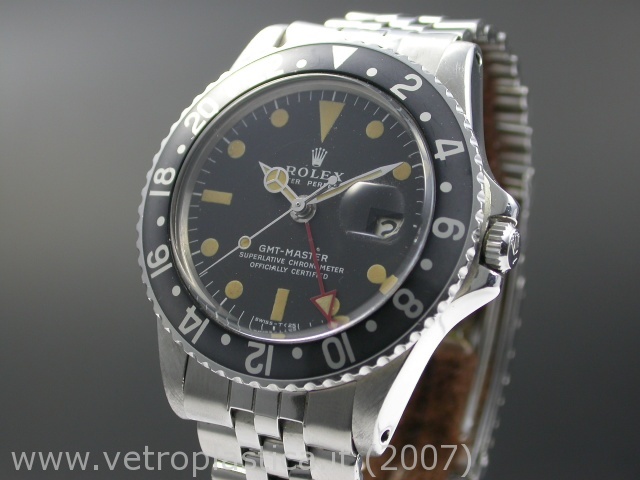 Vintage watches in particular allow you to gain entry into the upper reaches of the horological stratosphere at more budget friendly prices. You cannot go wrong with a vintage Patek Philippe Calatrava, a Rolex GMT-Master 1675, a Jaeger-LeCoultre Reverso or any number of beautiful timepieces. However, you can go wrong with a collection of Nixon, Michael Kors and U-Boat monstrosities. Divide and conquer may make sense in battle, but, when it comes to putting together resources for a watch purchase, combine and conquer is the only way to go. Buy something great and it may just keep it’s value (or even appreciate over time), becoming a family heirloom. Unfortunately, a series of mediocre timepieces are not greater than the sum of their parts. For anyone thinking about making a watch purchase, I have a massive post I’ve been writing for quite some time that I am looking to post soon. I’ll link to it from here once I do. Thanks for reading and please do not hesitate to contact me @oneguysstyle, or by commenting on this blog post with any suggestions, compliments or criticisms. In terms of investing in good shoes, anyone in Canada should really look at Jose & Markham (jose-markham.com). I found them when I used to live in Winnipeg, but I have since ordered from their online store. Their shoes (at least in the “boardroom” section of the website) are classically-styled and ridiculously inexpensive for leather-soled non-glued business shoes. I have a few pairs and I would heartily recommend them to anyone looking for well-made dress shoes to last you years. Spend $100-$150 on these; you won’t regret it.